Commander K. M. Nanavati case got very much attention during it’s time. Whatever we say, the public always respected our soldiers, be it from any division (Army, Navy, Air Force). They are our guardians and we know it pretty well. Thus they are the most respected citizens of the country. So any time if any soldier of any rank is there in the court of law (or in any question) the public sympathy always favours him, at least in the beginning. Commander Nanavati’s case was associated with his wife’s adultery (extra-marital relations) and thus despite of making a kill (of the lover of his wife), he was not guilty in public eye. There are two movies made based on this case, Yeh Rastey Hain Pyar Ke and Achanak. The inspiration is varied in proportions. Latest in the series is Hindi Film – Rustom. Based on the fictional Navy Commander Rustom Pavri. The movie is loosely based on the Commander Nanavati case, and not a documentary or biographical film. It is a work of fiction which is simply expired from that incident, so finding historical accuracies can disappoint you. Also, the movie works only on a part of the case (till the verdict of Jury is out). The actual case took a different turn at High Court. So, let us look at the movie – Rustom – as a Hindi movie, rather than drawing parallels with the original Nanavati case and finding (in)accuracies. Let us take a look at the film’s plot. Commander Rustom Pavri is a disciplined, decorated officer of Indian navy. He is married with Cynthia and lives happily. Now as the life of naval officer goes on in routine he need to spend a lot of time away from home. In one such incident he needed to go to London for some official work for 6 months. During this alone time Cynthia developed extra-marital relationship with Vikram Makhija. Vikram and Preeti are siblings who live lavish lifestyle and charm of a party. Having intimate relations to attractive counterparts was not a new thing for either of them. When Rustom comes back from London and eagerly visits his home, he found that his wife Cynthia is away since a couple of days. He got to know that she often go with Vikram and this time also she left with him. Rustom follows up the thing and found about Cynthia’s relationship with Vikram. He eventually goes to Navy Dock and brings in his pistol. He visits Vikram and kills him. Then he surrenders himself to police by accepting his crime. Sr. Inspector Vincent Lobo is the in-charge of the case. What happens this point forward is the story explored in the rest of the movie. Akshay Kumar have the athletic build and he justifies the role of the protagonist. He expresses the right things at right time. Both Illiana and Esha slips into their character convincingly. Pavan Malhotra is the perfect choice as Inspector Lobo. Arjan Bajwa is convincing as charming, careless, casanova Vikram. Anang Desai is brilliant actor and he got some good scenes where he is able to make impact. Sachin Khedekar, Kumud Mishra and Brijendra Kala does justice to their roles. Permit Sethi is worth mention. The script writer effectively wrote the script which is inspired by the K. M. Nanavati case. There are a few loose ends though. For example, why Rustom asks for Rs. 5 Crore and how does it go untraceable. Also, Synthia confess her adultery and confirm that she have had the physical relations with Vikram only once. And, when Rustom came home she was away from home since a couple of days and was seen with Vikram (in fact Rustom sees her). Also if Rustom is in police custody since the mishap (as he surrendered right after the kill), how could he got some evidences (like the club letters for example). Though, overall the film is gripping. The background music is good. A couple of songs from the movie are very popular and they are also good to hear. Having more songs could have an adverse effect on the film’s speed. The pace of the film is good and it moves ahead smoothly. There are some tweets appear claiming some inaccuracies in Navy Uniform and some other things. Well, that might be true and in that case it is continuity and accuracy fault in the movie. But,it doesn’t affect the cinematic experience of the movie. 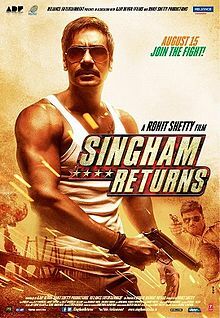 Overall a good film for the thriller lovers. Go to watch without expectations and you will enjoy. Remember, it is not a documentary and it is work of pure fiction, inspired by real event.